This spoiler is our newest creation. 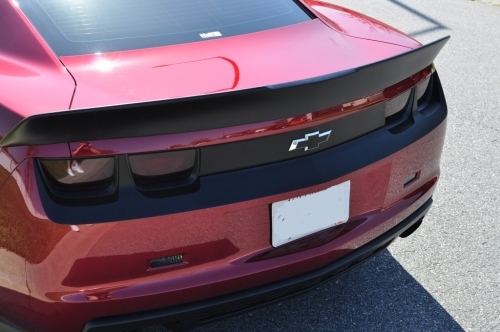 The New Dovetail Spoiler has taken a few years to put together after debuting it on their 2009 SEMA Camaro Proposal, Unrestricted Motorsports will finally debut their New Spoiler this year at SEMA. You can own it now. This is a fiberglass one piece dovetail spoiler that uses the factory mounting holes and includes mounting hardware and tape. It is primed and ready for paint.